Part of the luxury line Nakasa from IMAX Corp, the Axel statuaries add dimensional beauty to contemporary-styled spaces. 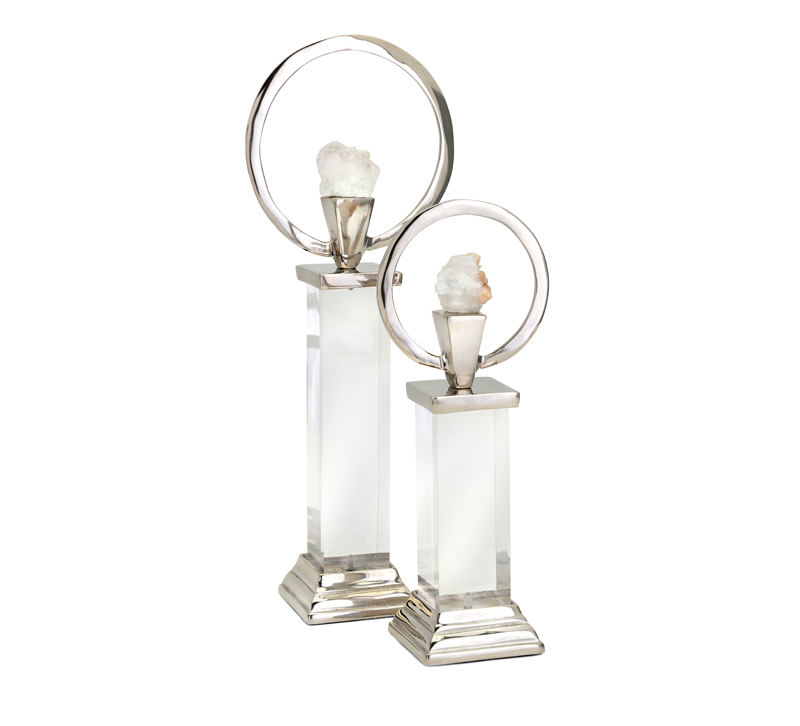 Crafted in aluminum, acrylic and crystal with a silver finish, their geometric forms make distinctive focal points. In a set of two for variety and cohesiveness.